Keep your little one warm, cozy and looking adorable in this colorful, ribbed knit hat. 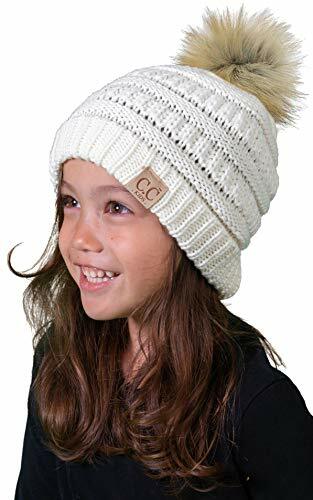 With a fun pom on top, and multiple color options, get the lovable look of the basic solid color beanie and keep your sweet kiddo snuggly in the fall and winter weather. Super cute, and helps to make your child easier to spot in daycare or playing outside. A great, quality accessory for tots and kids alike.